You may have considered how the content on your website should be optimised according to what your target audience searches for, but have you given much thought to the devices that your customers are accessing search engines from? If not, then you should be. Last year saw the number of mobile internet users surpass the number of desktop internet users for the first time, and the gap is getting wider. In recognition of this trend, Google has been adjusting its mobile search experience so that it better suits the needs of mobile users. 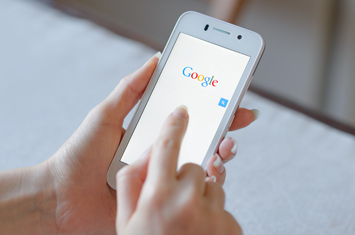 This came to a head last month with the announcement on Google’s official Webmaster Central Blog that, from April 21st, the mobile friendliness of a website will be considered a fundamental ranking factor for mobile search results. They remark that the algorithm update “will affect mobile searches in all languages worldwide and will have a significant impact in our search results”. It is not specified if it will have an effect on desktop rankings, but the smart money is on Google extending its reach very soon. So the position of Google is clear, as are the implications for companies who do not take steps to optimise their websites for mobile devices between now and next month’s deadline. Failure to do so will see your organic mobile search ranking suffer and result in a drop in your website traffic. It is also likely to repel those customers who do find you online. If you don’t provide them with a good experience when they’re accessing your website from a mobile device it won’t be long before they go elsewhere. By far the simplest and most effective way to ensure your website is optimised across all devices is to have a well designed and responsive website. As well as providing a better user experience and making it easier for your business to be found on Google, responsive websites typically have lower bounce rates and higher conversion rates. In other words, not only are users less likely to click away from your website but there is a greater chance they will become customers too. There’s no need to panic about the impending algorithmic update. Google has made lots of information and resources available to help you better understand the change and what you need to do to prepare for it, so that your website does not get penalised. Google’s Mobile Friendly Test assesses the mobile-friendliness of your website so you know how much optimisation is required. All you need to do is enter the URL and wait for the response. They also provide you with guides that can teach you how to make your website mobile-friendly using website building platforms like WordPress and Blogger, for example. Check that you’re using the most current version of your CMS and install the necessary security upgrades. In some cases, simply doing this will make your site mobile-friendly. Flash is still not viewable on many mobile devices, so this automatically makes your website less mobile-friendly. Make sure that any Flash components are removed. If there is a custom theme used on your website, check whether it is mobile-friendly or responsive and change it if it’s not. The Company Warehouse has an in-house web design team that can build a responsive website for your business. Contact us on 01245 492777 to find out more.